Lunch: $8.99Dinner/Weekend: $9.89Must be 65 year of age or older. Cannot be combined with other offers. Visit a Dutch-front Pizza Ranch! We have the best pizza and chicken in town with our full-service buffet and menu options. Enjoy salads, sides, starters, and dessert—like our famous Cactus Bread®! Perfect for families and groups, our American West restaurant serves up Buffet Your Way® or delivers to you with online ordering or call in options. Entertain the younger ones (or your inner child) at our Fun Zone Arcade, featuring the latest game selection and prizes. Fundraise or come in to support local causes with our Community Impact events! Have a party or meeting coming up? Schedule our two community rooms that seat up to 100 people combined. 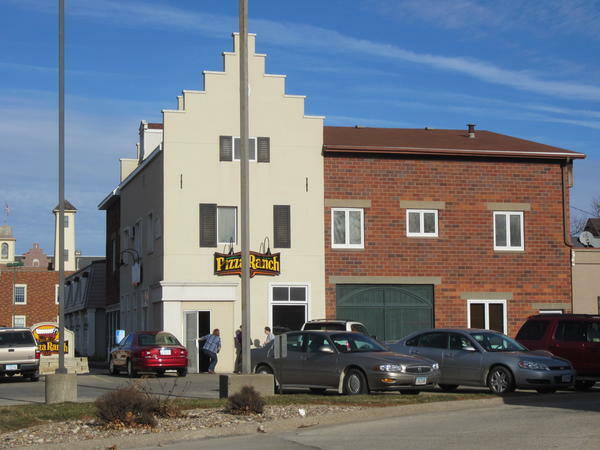 We’re conveniently located in central Pella minutes from Central College and the high school. 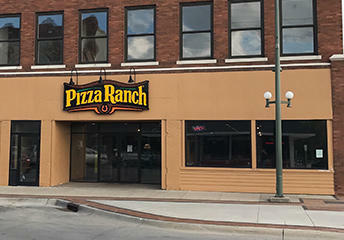 Pizza Ranch in Pella has been locally recognized! We want to thank the community for voting for us – you are what makes us legendary. Ordered chicken. Small pieces. Picked from bottom of barrel. I visit this place a few times a year. EVERYTIME I leave mad. They never have clean silverware. I couldn't eat a salad as there were no forks or spoons. I couldn't get a glass because they were out of them. I did get a "to-go" cup. When we were ready for desert, I did get a fork....the man was filing them as I stood there. The buffet is always busy and there is another buffet in the party rooms, it is never open. Surely they have figured out when their busy times are. If not, marketing needs to move to cleaning the parking lot. Everything was great with the exception of the chicken. Some was over done. Great food! Love the chicken and Salad Bar! The $5 meal is perfect! So glad it is available!! The food was delicious -- as usual. Was a very busy night, but people moved through very quickly. Floors had lots of dropped food stuff that wasn't being swept up. Our first table was tippy and nearly dumped my beverage on me. Friendly staff...excellent food...my favorite place to eat! 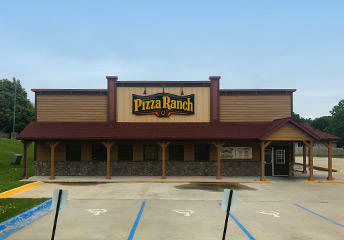 We have been to several Pizza Ranches in Iowa and Minnesota and Pella Pizza Ranch is the best!!! Keep up the good work. They had loaded mashed potatoes with bacon,onion, and cheese. It was awesome and should be considered at all locations. We were in the back room. It was very crowded, tables were so close together it was nearly impossible to get in/ out , and disrupted others sitting at the table. It also was very noisy, so hard to carry conversation with others. It was busy, so food selection was limited. Chicken is our favorite food, and dessert pizza! For my sons birthday he wanted to get pizza ranch! Dessert pizza and ice cream. He also requested a chicken bacon ranch pizza buffet your way for the win! I haven't been disappointed in any Pizza Ranch I have stopped in. All have great customer service, excellent food.